My name is Justin Webb, I’m a fourty-three year old, father of three, who is blessed to have a very understanding wife, two grown daughters, and a sixteen year old son, who all sacrifice a great deal to support me in my passions, and the time I dedicate to F4WM. 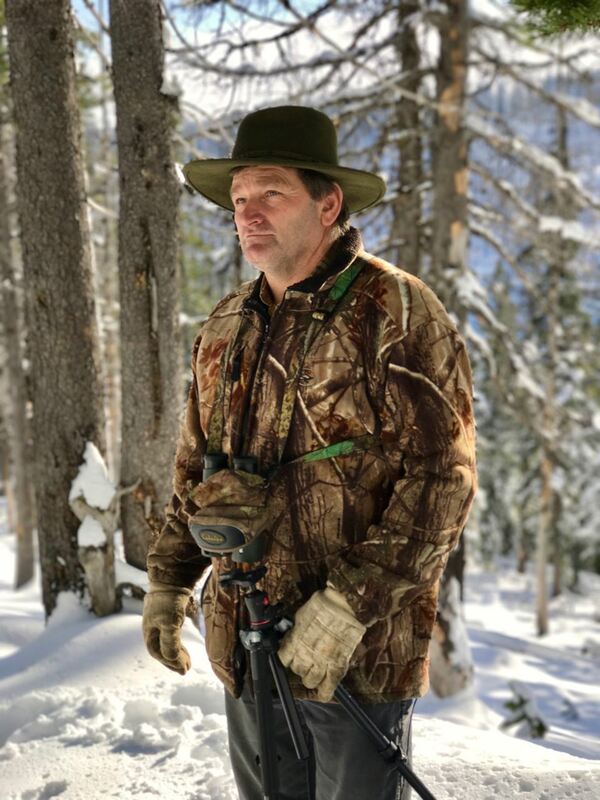 I’m an avid outdoorsman who grew up off the grid, and learned young that Hunting and Fishing are an important part of my family heritage and to providing for one’s family. 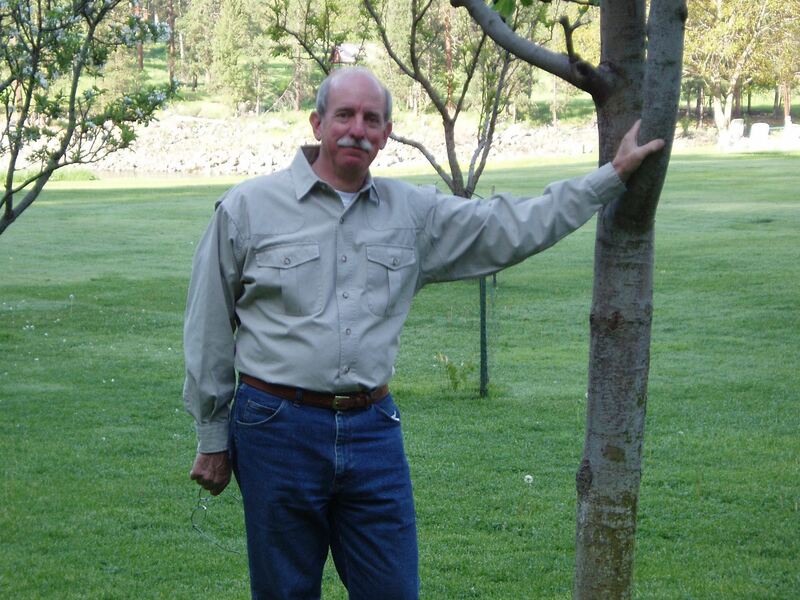 I am passionate about wildlife conservation, and the Idea of "Leaving Idaho better then we found it". I enjoy being in the back country, hunting, fishing, or camping with my family, as well as supporting my son in his sports activities. I’m currently a Hunting Guide for Clark Fork Outfitters, and do some Commercial Fishing in the off season. I have worked industrial construction as a pipe fitter, done quality control on a rock crusher, and ran my own residential construction company for a number of years… but I’d have to say the one job I enjoyed the most was working as a Wildlife Tech for Idaho Fish and Game. Being in the outdoors and improving wildlife habitat is quite rewarding, as is working to manage wolf numbers for the good of all Idaho’s Wildlife. Contrary to the belief of some, I am not Anti-Wolf. In fact, the more time I spend around wolves, the more respect I have for them. They are an amazing predator and are extremely smart. Unfortunately they also breed much faster than sportsmen can harvest them, so managing their numbers is an increasingly difficult task! As the Executive Director for the Foundation for Wildlife Management, the majority of my efforts are spent working to expand our program, and generating funding for wolf harvest reimbursements. I answer the phones when people have questions, handle the majority of our email communications, operate our social media pages, and try to keep our membership current on what’s going on within the program through newsletters and on our website. Another portion of my time is spent attending Idaho Fish and Game and Commission meetings, promoting liberal wolf harvest seasons and opportunities, giving presentations and helping educate people about wolves, the effect they have had on our wildlife, and wolf trapping. Although I am not the founder of F4WM (as many mistake me to be), I am very passionate about our cause, and have been part of the program since our first year. My own efforts in wolf management taught me quickly that successfully harvesting wolves takes time, dedication, patients, perseverance, and a lot of gas money. Although I trap a few each year, targeting wolves has been an ongoing bout of hard learned lessons, and is far more work than I ever expected. I truly believe in this program and know that many of Idaho’s top trappers could not continue to remove wolves without F4WM. My name is Gary Finney. I am co-owner of Finney custom sawing which is a logging and custom milling company in the Coeur d'Alene area. My wife of 35 years, Mary Jo and I have Four children, Sarah, Rachel, Ben and Will. I am serving as vice president of F4WM. I was born in Coeur d’Alene in 1962. The ninth child in 11 of a logging family. I was in the woods working with my dad and brothers at a very young age. We worked and played in the mountains, rivers and lakes of North Idaho, the mountains drawing me more than the water. I became fascinated with the antlered critters that roam our beautiful mountains. I love hunting the deer, elk and moose especially, be it bow, muzzle loader or riffle. I have spent countless days gathering up shed antlers, numbering and cataloging them ever since I was a boy. 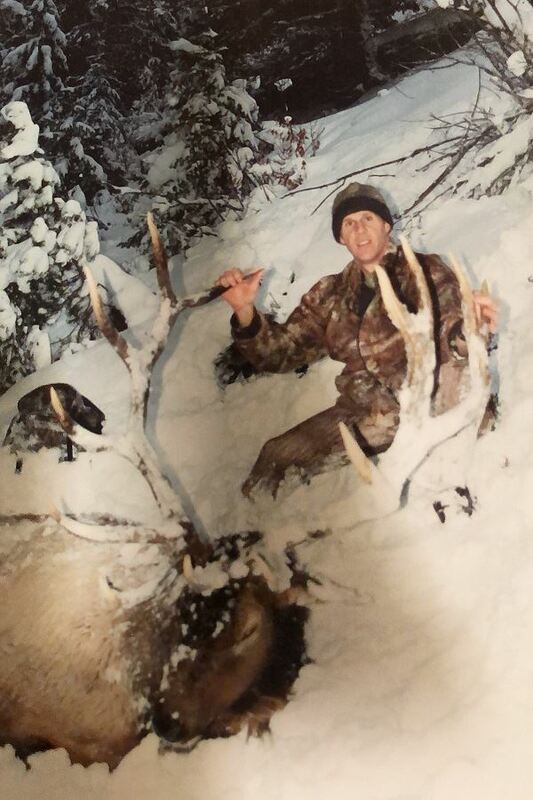 I enjoyed many years of hunting the abundant big game in the Idaho panhandle, taking many nice trophies and being blessed with that wonderful meat. Then came the wolf and things started to change. Over the past ten years I have seen our elk numbers drop significantly. With the opening of the 2009 and 2010 wolf season, I started hunting the wolves. Taking wolf number 21 in that first season. Then came trapping and I became hooked on that. I do it to help our elk, deer and moose and to bring what balance I can to the predator, prey dynamic. I have driven over 10,000 miles checking my wolf traps this season of 2018/2019. Trapping is a big commitment, but I really enjoy being out there, hopefully making a difference. Thank you for your support of F4WM. Gary Finney. Growing up in the Idaho panhandle during the 60s and 70s, Robert heard his share of elk hunting stories from his father and older siblings. As soon as he was able, Robert joined his family on their annual meat gathering expeditions. Come evening, when his father led the grace before meal, elk was often the main dish. Elk hunting was also the main subject at many a meal. Robert enjoyed trapping bobcat, coyote, muskrat, pine martin, and other furbearers during his teen years. Following in his father’s footsteps, Robert and his wife, Karen, raised their twelve children on a healthy diet of elk and outdoor adventures. Robert started working in the logging business as a timber faller in 1979. In 1989 He started his own logging business and continues to work as a logging contractor these 30 years later. Working in the forest keeps him close to the land and the animals that live there in. His eldest sons had just gotten the taste for elk hunting when the reintroduced Canadian wolves decimated the local elk herds. A few years’ later Canadian wolves were delisted and Idaho opened hunting and trapping seasons. Robert stepped up to the plate and took his first wolf in 2010 by hunting and has caught over 40 wolves since. 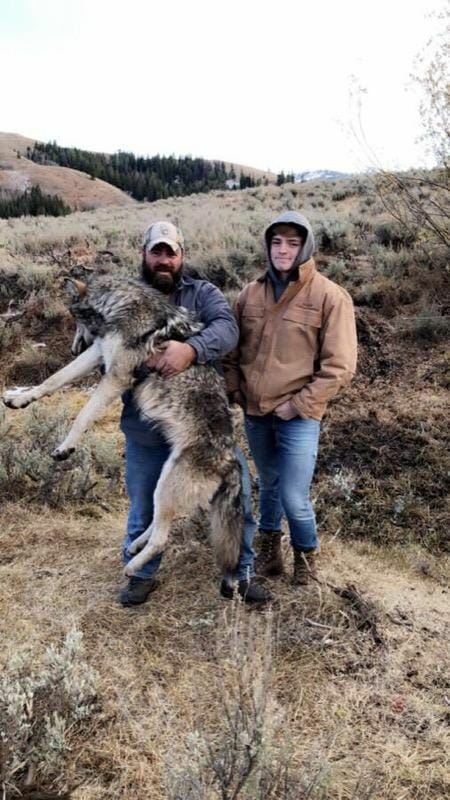 He continues to trap and hunt wolves in an effort to help Idaho’s struggling ungulate populations. 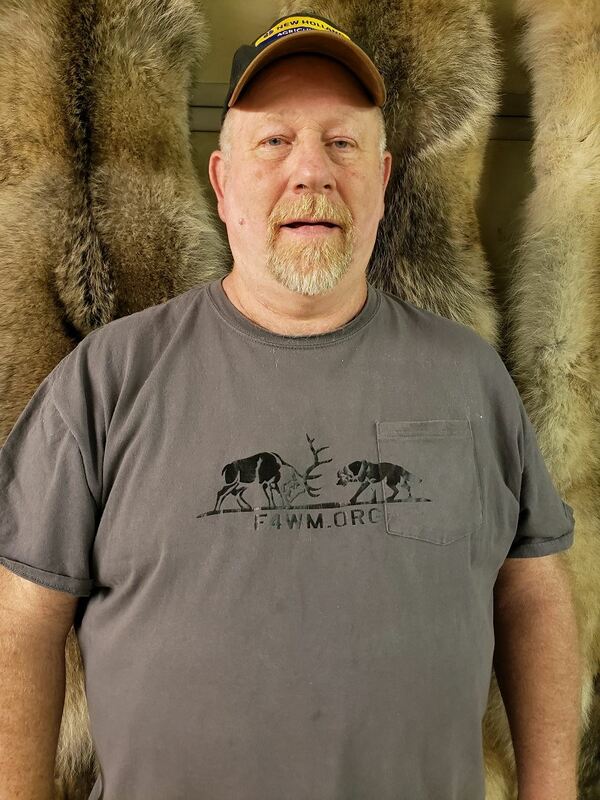 Robert was the 50th member of the Foundation for Wildlife Management, the first member to receive a reimbursement check and, the first lifetime member. He was elected to the F4WM board of directors in August of 2016 and became President in August of 2018. Robert enjoys working with the determined F4WM team, to help restore balance amongst wildlife, and pass on abundant opportunity to future generations. Hello my name is Rusty Kramer and I am the president of the Idaho Trappers Association. I live in Fairfield with my girlfriend Missy and my two teenage boys Remington and Dawson. I farm and am a watermaster for the water district. I also am the head coach of the high school football team. I trap mainly coyotes, fox and cats but I do dabble in some water trapping and quite a bit of summer beaver work. I have trapped every animal legal to trap in Idaho including cougars and have caught and have caught and released a dozen wolves before I got to legally harvest one this season. I have the awesome opportunity of trapping with my father every season since I started when I was little. My family has been involved in the Idaho Trappers Association since before I was born. I did two terms as director, one as a Vice President before I was elected Idaho Trappers Association president back in 2017. I have been working very hard on unifying the trappers of Idaho and unifying sportsmen groups. After I had recruited Justin Webb to be on the ITA board back in 2016, I expressed interest on running for a board position for F4WM. I was elected to the F4WM board in Aug of 2018. I am excited about this new challenge of giving the F4WM a voice in southern Idaho. Also, I am a huge proponent of sportsmen groups working together and am excited that I am on both boards and can continue to have both groups closely working together. Born and raised in Michigan growing up on a small family farm where I could target shoot and hunt small game and whitetail deer on our property. Graduated from Michigan State University with a Bachelor’s degree and following college joined that US Marine Corps and was commissioned as a Second Lieutenant in June 1969 at QUANTICO, VIRGINIA. I have been an ardent out doors person all my life, enjoying pursuing upland game and deer, elk, bear, wild boar and antelope in Michigan, Washington, California, Wyoming, Montana, South Dakota , Mexico and Argentina. I was fortunate to hunt on the Main Salmon at a hunting/fishing lodge called the Shepp Ranch for 21 years and watched the wolves dramatically reduce the elk herd which had been abundant for 50 plus years before. On one such trip in 2003 into the Salmon River back county I witnessed a herd of 150 to 200 elk being terrorized by a large wolf pack. The pack crossed a trail in front of us and we counted 18 of them so we knew it was a big pack. The elk were running up and down the steep slopes with their tongues hanging out. It was sad to see their fear as they literally ran for their lives. Though I have continued to go elk hunting I haven’t harvested an elk since 2009 because my heart wasn’t in taking an elk with the wolves destroying those magnificent animals. 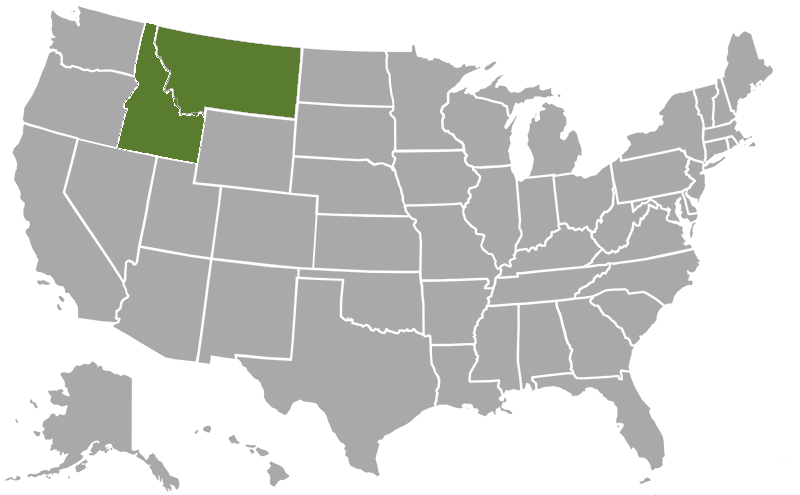 I have been passionate critic of how the wolves were forced on our state by people who have never set foot in Idaho and could not find us on a map. But what has been really upsetting was the wolf worshippers deceit in not living up to the agreed conditions I.E. the number of wolves in Idaho. I believe in the mission and goals of the Foundation for Wildlife Management and that without this group fear we could easily see the end of big game hunting and ranching in Idaho. My name is Bob Ankersmit. In 1993 I moved to North Idaho with my wife Colleen and daughter Sarah. 40 years of my working life has been in various aspects of building construction. I am a past board member and President of Sandpoint Archers and past board member of Bonner County Sportsmen’s Association. I have been a volunteer bowhunter education instructor in Sandpoint and Lewiston. I have been a hunter my whole life, but my real passion became bow hunting elk from backpack camps. There’s nothing in the world as exciting as being in the mountains with the elk in September away from roads and people. Unfortunately, the elk numbers in the mountains and forests have plummeted since the wolves have taken hold. That back country elk hunting that I have known just isn’t the same. My dream is for the elk to make a comeback so future generations are able to experience the same incredible times I’ve been blessed with hunting elk in the mountains in the fall. I believe the Foundation for Wildlife Management holds the key for that to happen, and that is why I am on the F4WM board. Life-long hunter and fisherman. Born (1943) and raised in Montana. Following high school work as a logger and hunting guide while attending the University of Montana. Drafted into the USA in the fall of 1965. Commissioned as an infantry officer, attended airborne school, ranger school, and flight school. Served 22 months as a huey/cobra pilot in Vietnam. Obtained a graduate degree from Central Michigan University, attended the USA Command and General staff school retiring from the USA as the professor of military science, University of Montana in 1992. Served as the family back country packer owning horses and mules for the past 50 years. Life member of RMEF, NRA and North American Hunting Club. Served as the Panhandle Fish and Game Commissioner (2005-2013). Currently serving as the Idaho Sportsmen representative to State Wolf Control Board. Totally dedicated to F4WM’s mission of sensible wolf management in maintaining healthy wildlife populations. Committed to opposing anti-hunting organized efforts that line the pockets of attorney’s and in most cases do nothing for the benefit of wildlife or conservation programs.